Tell people you love them just because you do. I realize it is Valentine’s Day this week. I am not a big fan. While I think the intention of this “holiday” is good, I am opposed to having my husband feel he has to buy me a card, flowers, chocolate and go out to dinner because it is Valentine’s Day. I would much rather get flowers on any other day. That gesture would have a lot more meaning. Write me a card any time of year and tell me you love me, appreciate what I do for the family, etc. Now you are scoring some “real” points! 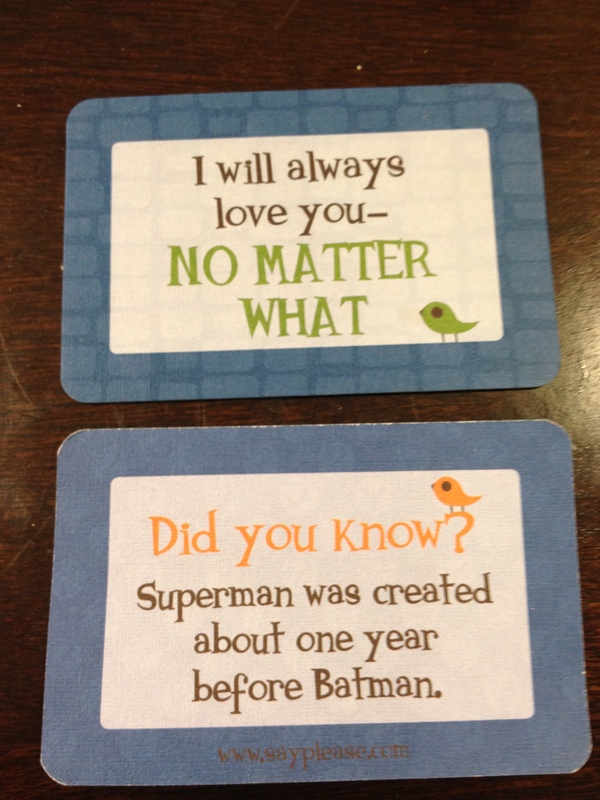 2) “Original” Love Notes – This is a creative and inexpensive way to show someone in your life that you love them. I did this for my husband a few years ago for a “special” birthday. I asked my daughters to tell me the reasons they loved daddy. I typed up all of their responses, printed them out on paper and cut their “love notes” into small white strips. I then put all of them in a box. My husband loved it! It’s a nice idea for a wedding anniversary, birthday, Mother’s Day, Father’s Day, Valentine’s Day or my favorite “reason”: Telling people you love them just because you do! I used to put little love notes in my son’s lunch, but I’d write them in Chinese characters so they wouldn’t embarrass him in front of his friends. Now, most of his school friends know how to read Chinese, so it looks like I’ve got to brush up on cryptography.